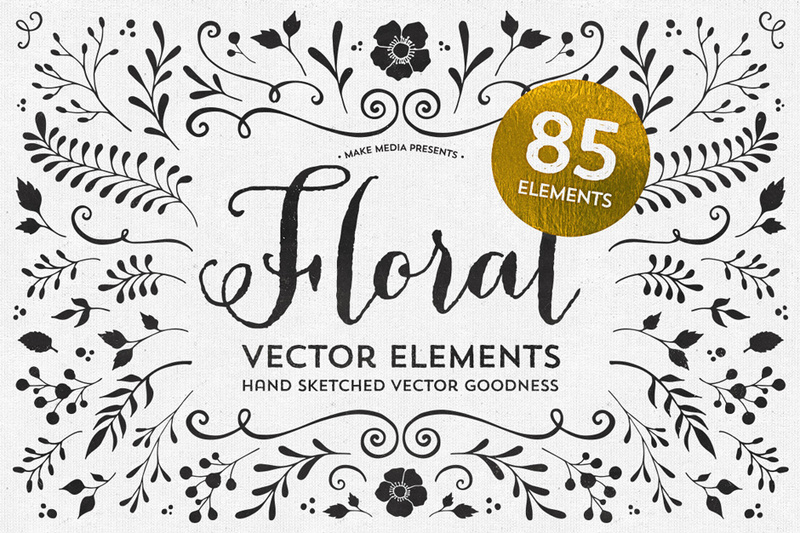 Just in case you’re looking for some new vector elements, here are 85 beautiful, hand sketched floral vectors. Use the elements on wedding invitations, save the date cards, flyers, apparel, as photo overlays and more! Included file types: .AI, .EPS & .PNG. You can open these files in Illustrator CS or newer, or with similar vector editing software. Software compatibility: Adobe Illustrator CS or newer. .EPS files will work with a variety of programs such as Adobe Photoshop or Illustrator, Sketch, InkScape, Affinity, Corel Draw, etc. .PNG files will work with most graphic software. File size is approx 5.8MB (9.8MB unzipped), offered as a single download.